 W.M. Flinders Petrie, “History in Tools,” Annual Report Smithsonian Institution, 1918, pp. 563–572 [reprint]. Johann Amos Comenius, Orbis Sensualium Pictus, transl. Charles Hoole (London, 1685), pp. 130, 143. Joseph Moxon, Mechanick Exercises or the Doctrine of Handy-Works, 3rd. ed. (London, 1703), pp. 63, 119. Martin, Circle of the Mechanical Arts (1813), p. 123. Peter Nicholson, The Mechanic’s Companion (Philadelphia, 1832), pp. 31, 89–90. Catalog, Book 87, Cutler and Co., Castle Hill Works, Sheffield [in the collections of the Victoria and Albert Museum, London]; and Illustrated Supplement to the Catalogue of Bench Planes, Arrowmammett Works (Middletown, Conn., 1857) [in the Smithsonian Institution Library]. York County Records, Virginia Deeds, Orders, and Wills, no. 13 (1706–1710), p. 248; and the inventory of Amasa Thompson in Lawrence B. Romaine, “A Yankee Carpenter and His Tools,” The Chronicle of the Early American Industries Association (July 1953), vol. 6, no. 3, pp. 33–34. Reports by the Juries: Exhibition of the Works of Industry of All Nations, 1851 (London, 1852), p. 485. U.S. patent specifications cited in this paragraph may be found at the U.S. Patent Office, Washington, D.C. In 1865 George Parr in his application for an improved screwdriver stated categorically that the scalloped blade served no purpose other than decoration. See U.S. patent 45,854, dated January 10, 1865. Francis A. Walker, ed., United States Centennial Commission, International Exhibition, 1876, Reports and Awards, Group XV (Philadelphia, 1877), p. 5. Restored patent 4,859X, August 24, 1827, National Archives, Washington, D.C.
 U.S. pat. 16,889, U.S. Patent Office, Washington, D.C. The numbered specifications that follow may be found in the same place. Walker, ed., Reports and Awards, group 15, p. 13. Tools (Boston, 1884), p. 54 [in the Smithsonian Institution Library]. Tools and Supplies (June 1900), no. 85 [in the Smithsonian Institution Library]. Tools for All Trades (New York, 1896), item 75 [in the Smithsonian Institution Library]. See Baldwin, Robbins & Co.: Illustrated Catalogue (Boston, 1894), pp. 954, 993 [in the Smithsonian Institution Library]. Tools and Supplies, op. cit. (footnote 22). Mechanick Exercise …, p. 62. Walker, op. cit. (footnote 19), pp. 31–49. Mechanick Exercises …, p. 94. Book of trades, or library of the useful arts. 1st Amer. ed. Whitehall, N.Y., 1807. Boy’s book of trades. London, 1866. 1664, 1685, 1777, et al. Research Series.) Washington: National Park Service, 1958. Diderot, Denis. L’encyclopédie, ou dictionnaire raisonné des sciences, des arts et des métiers. Early American Industries Association. Chronicle. Williamsburg, Va., 1933+. Gillispie, Charles Coulston, ed. A Diderot pictorial encyclopedia of trades and industry. New York: Dover Publications, Inc., 1959. Holtzapffel, Charles. Turning and mechanical manipulations. London . Knight, Edward Henry. Knight’s American mechanical dictionary. New York, 1874–1876. Martin, Thomas. The circle of the mechanical arts. London, 1813. Moxon, Joseph. Mechanick exercises. 3rd ed. London, 1703. Nicholson, Peter. The mechanic’s companion. Philadelphia, 1832. Petersen, Eugene T. Gentlemen on the frontier: A pictorial record of the culture of Michilimackinac. collection in University College, London. London, 1917. Descriptions des arts et métiers.) Paris, 1761–1788. Tomlinson, Charles. Illustrations of trades. 2nd ed. London, 1867. Pamphlet Series.) Shelburne, Vermont: The Shelburne Museum, 1957. 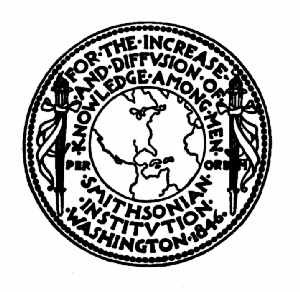 CONTRIBUTIONS FROM THE MUSEUM OF HISTORY AND TECHNOLOGY SMITHSONIAN INSTITUTION · WASHINGTON, D.C.